Please come and join us to celebrate the launch of our new project! 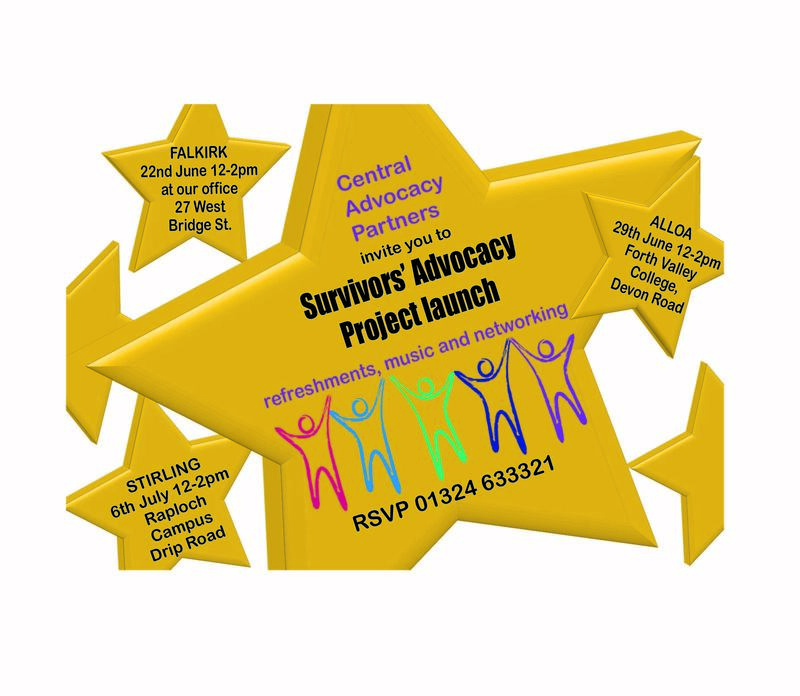 Central Advocacy Partners are excited to announce the launch of our new Survivors Advocacy Project, supporting people with learning disabilities / difficulties or are on the autism spectrum (16yrs plus) who are or have been affected by domestic abuse who live in Forth Valley. This project employs two Independent Advocacy Workers to seek out and support people with a learning disability who have experienced or are experiencing domestic abuse. We will work with people to help them learn to recognise abuse, to understand their rights as well as being aware of the options and services available to them. We will help people understand information they are given and empower them to make informed decisions. Anyone can self-refer or be referred by another agency. We can come and speak to services, groups, individuals and partners who are interested in finding out more.